The Civil Services Mains examination aims to test the academic talent and the ability of the candidate to present the answers in a clear and coherent manner. The Examination is intended to assess the overall intellectual traits and understanding of the concepts rather than merely to check their information and memory. 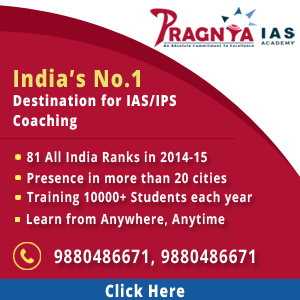 How to Prepare for UPSC IAS Mains Exam 2019? The UPSC has revised the pattern of Civil Services Main examination from 2016. Now there are 7 + 2 = 9 papers to be answered in the main examination. All of them are of descriptive type. There are two qualifying papers 1) any modern Indian language of 300 marks 2) English of 300 marks. The marks of these two papers will not be counted in the merit list of the main examination. According to the new pattern in the UPSC syllabus, there are "FOUR" General Studies paper each comprising of 250 Marks with a total of 1000 Marks are made compulsory. The scope of the syllabus of General Studies papers are of degree level. There is only "ONE" optional subject to choose from the list of subjects. It comprises of two papers each of 300 marks. So the optional paper has total 600 marks. Candidate is allowed to take up literature as an optional subject "without the condition of having the same at graduation level.” The scope of the syllabus of optional paper is higher than the bachelor's degree but lower than the master's level. Candidate is allowed to take up literature as an optional subject "without the condition of having it at the graduation level." This part of the exam comes only after the results of the mains exams are declared. Candidates can give preference of the language in which they may like to be interviewed. UPSC will make arrangement for the translators. THe marks fetched in this stage of the exam is combined with the marks obtained in the upsc mains. What After the Mains exam? IAS Candidate can give preference of the language in which they may like to be interviewed. UPSC will make arrangement for the translators. Marks obtained by the candidates for all papers EXCEPT PAPER A & B will be counted for merit ranking by the UPSC. However, the Commission will have the discretion to fix qualifying marks in any or all papers of the examination. Aspirants can log on to UPSC's official website (www.upsc.gov.in) to see the detailed notification for the 2019 upsc mains syllabus.